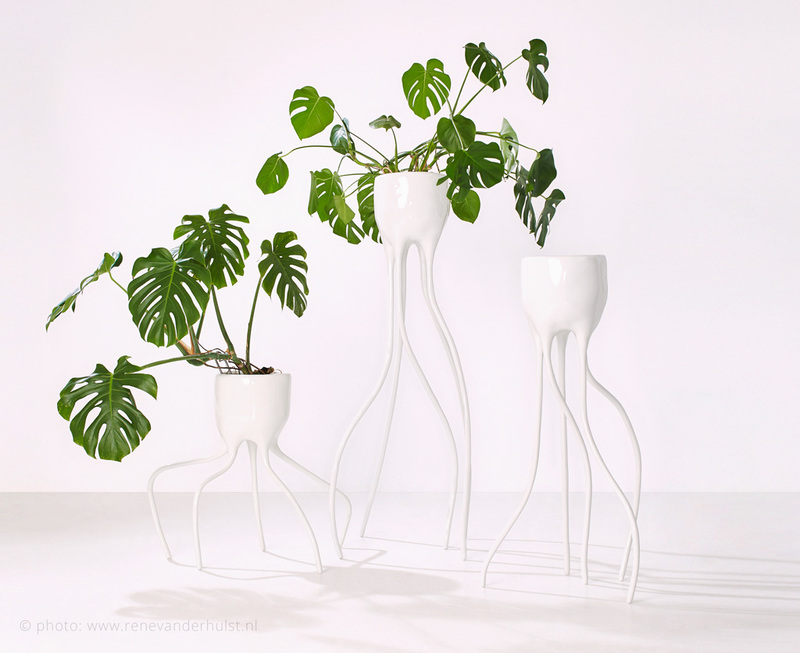 The Monstera planters are a family of distinctive plant pots. This is not only because of their elegant legs and high gloss finish. 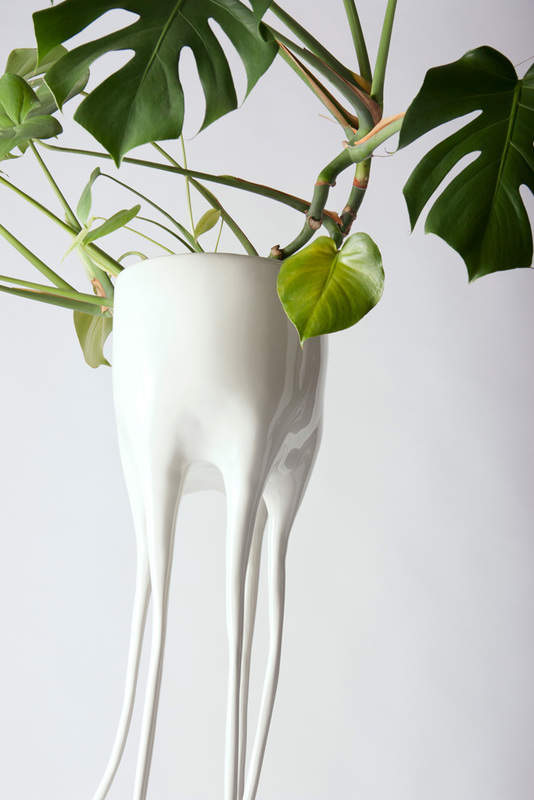 The Monstera series is in fact a new “species” of plant pots; one that liberates the plant from the windowsill and in which plants can regain their natural freedom, even within the interior. 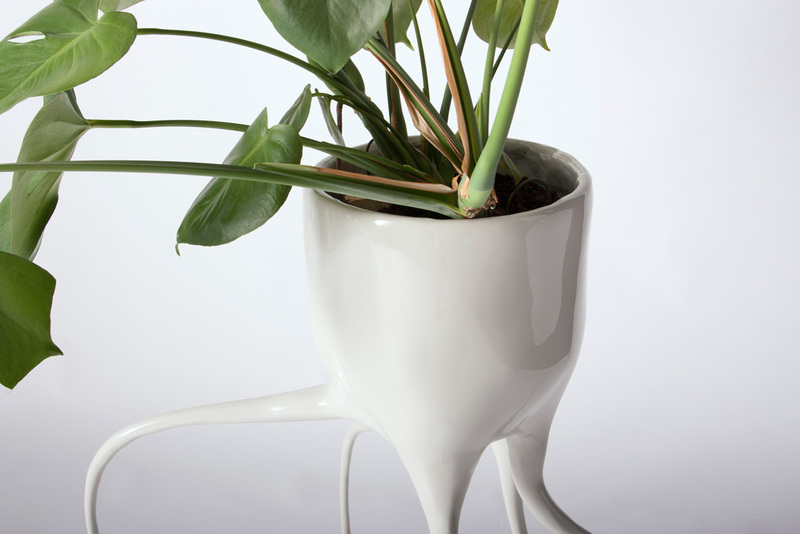 The Monstera-plant pot – with its ornate roots – is an extension of the plant, rather than a separate object (which is also why the pots bear a botanical name). 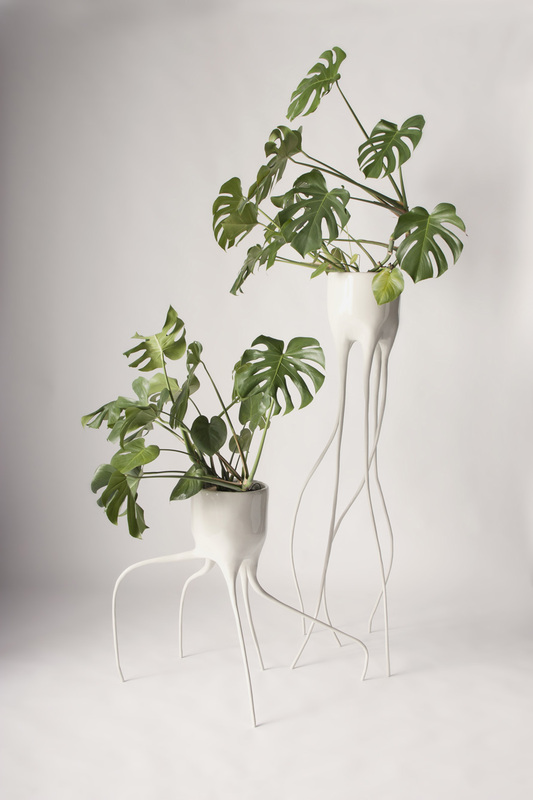 The design casts a new light on the otherwise rigid and oppressive traditional plant pot. The Monstera Magnifica is the high, exalted version of this elegant design and the Monstera Fugiens shows the plant as fleeing object. This year a new member is added to the Monstera family: The Monstera Crescens. With its height of one meter twenty it stands out above all tables and sofas. 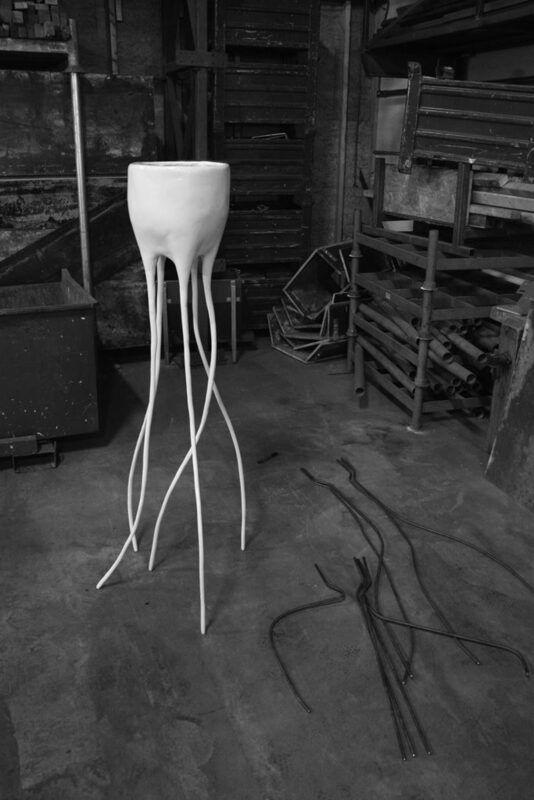 The imaginative planters received international acclaim in the press. 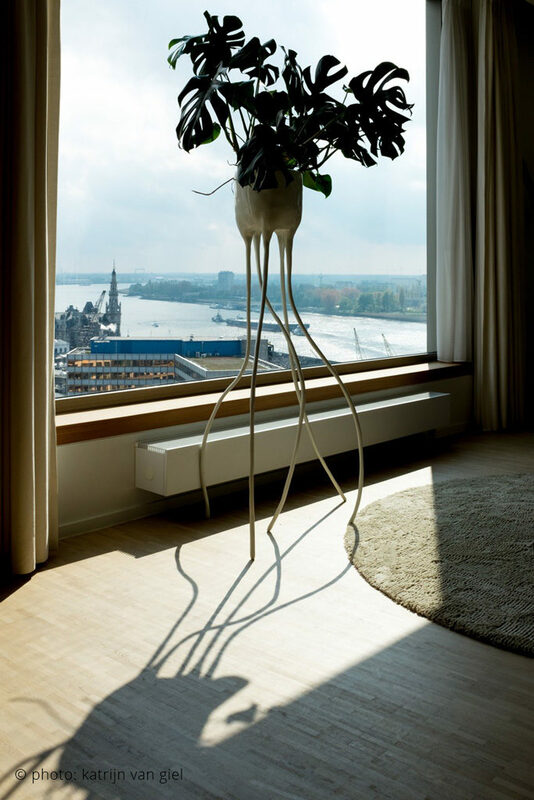 The fragile-looking legs of all three plant pots are made of steel bars. 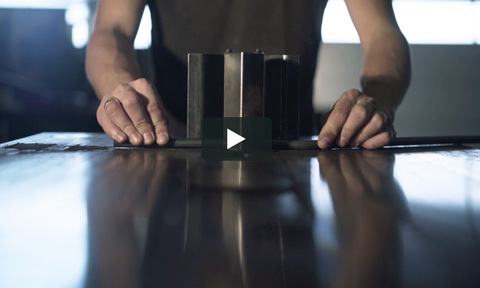 These are bent by hand to form the “roots” and moulded with industrial two-component clay. This approach gives the Monstera design its fragile look, yet it is unexpectedly strong and stable because of the chosen elaboration. 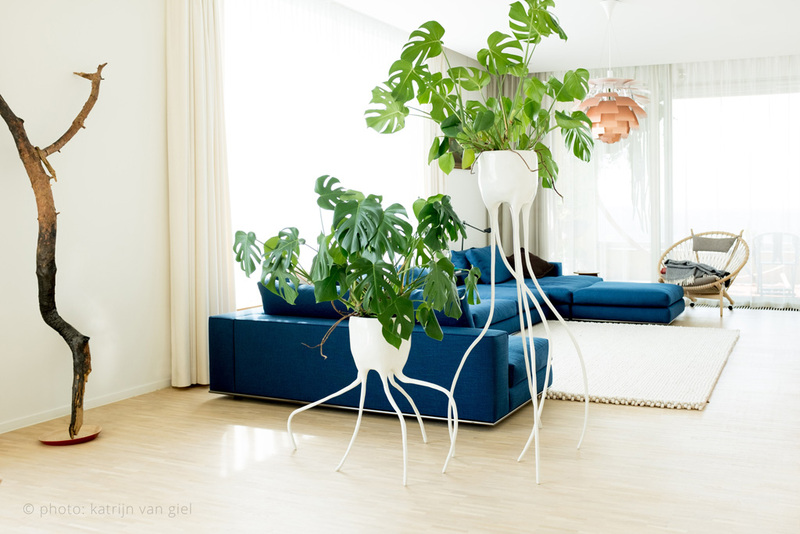 The Monstera family where exhibited at the Dutch Design Week. 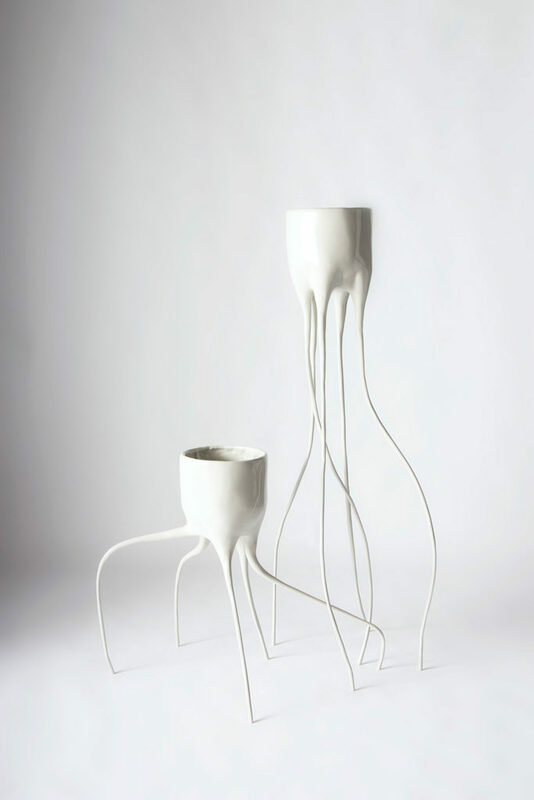 The planters were also shown at the Mint Shop’s spring show during the London Craft Week and at the Lightness exhibition by Lidewij Edelkoort for RADO. Available at: timvandeweerd.com | +31 (0) 649386282 | info@timvandeweerd.nl Fill out the form below or contact me directly. What is the color of a banana?